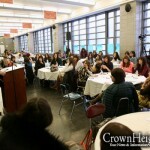 Chabad Hebrew Schools all over the world are marking Chanukah of the Hakhel year by joining together in song! One energetic anthem, one spirited dance, performed by hundreds of Jewish children expressing their love for Torah, their youthful exuberance, and their Jewish unity and pride. 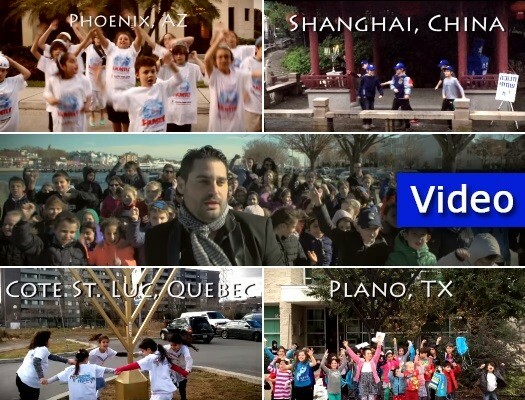 Making the video, “Global Dance” inspired Chabad Hebrew Schools everywhere with positive energy that comes from being part of a project with worldwide impact. Let’s get the word out by sharing the video far and wide; spread awareness of Hakhel and simcha to a world that needs this message now more than ever. Talented filmmaker Danny Finkelman collaborated with Gad Elbaz, whose work has generated millions of views, to create this professional video for Chabad. The video was produced by CKids, a division of Merkos Suite 302. Watch and enjoy as the Hebrew School children sing and dance as one! A great way to get into the Chanukah spirit!